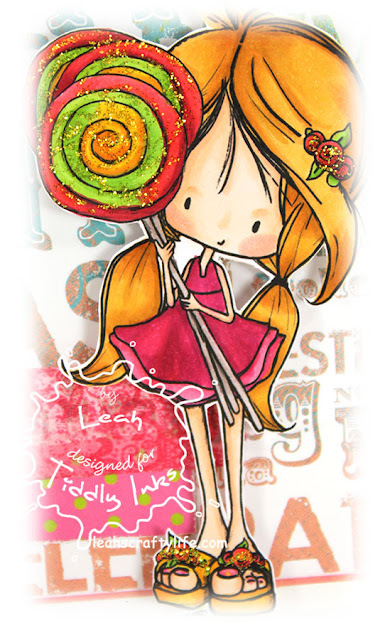 Leah's Crafty Life: You're too sweet!! 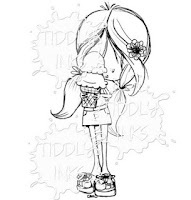 Christy has TWO new images she released today at Tiddly Inks.. I forgot to post about it earlier. Meet the new additions to the Wryn family. Here's my creation with the super cute Summer Sweet Wryn. Don't the lollies look delish?? and Tiddly Inks is having a sale thru tomorrow, click here for the deets! Have a super sweet day my friends! I loooove her! I love how colorful you made the suckers! The whole thing is so happy and wonderful! this is gorgeous hun!! I love the lollies and the way you did her face! she looks amazing! This is just my favorite!!! Love it! OMYGOSH!!! Toooooooooooo cute cute cute!! 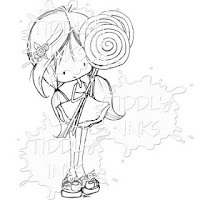 I loveeeeeeeeeeeee those lollipops!!! And the glitter too!!!!! Fab card Leah! 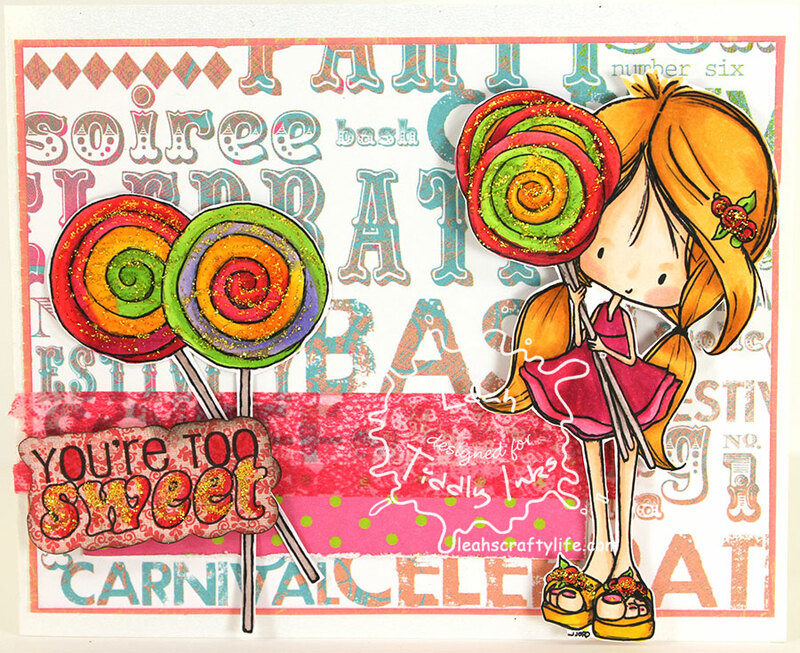 I love those bright colours and yummy sparkles! 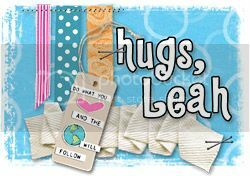 Fabulous card Leah! Love the bright colours and all the glitter!